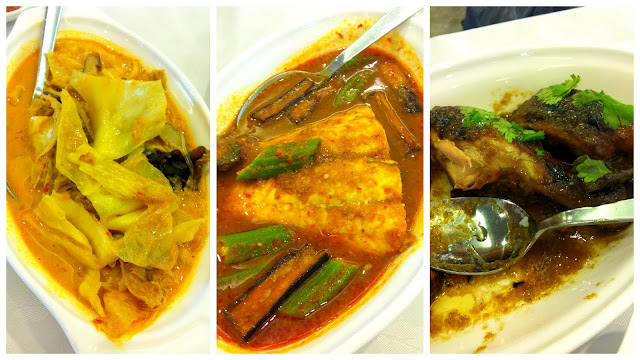 I don’t know many places in Singapore that sell authentic Peranakan food but one of our favourite spots is PeraMakan. They serve a wide array of dishes, all tasty and finger lickin’ good- perfect accompaniments with rice. You can hardly go wrong with your choices, but their chap chye is a must-try. If you prefer a slightly spicey version a good alternative is their chap chye titek. We enjoyed the fish, which was soft and moist. The most memorable dish for me that was the ayam sio. The slightly sweet, tangy and sticky marinade made of onions, coriander pepper and tamarind boasted a complexity of flavours that made the tender chicken extremely more-ish. It was also a nice departure from all the spiciness that the rest of the dishes had. Another dish that we usually have (but not this time) is the ayam buah keluak, a favourite amongst diners because of the buah keluak used- an indonesian black nut whose pulp is cooked with spices, pushed back into the nuts and then braised with the chicken. The chilled durian pengat was deliciously thick and creamy, with small cubes of steamed yam and sweet potato at the bottom. It’s pretty filling so share! Durian chendol was a lighter dessert, and very refreshing too. 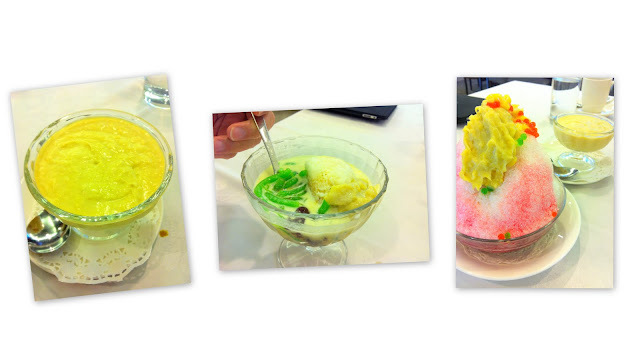 My ice kachang was quite humongous as compared to the rest. Unfortunately the ice was packed too tightly, making it really difficult to eat.